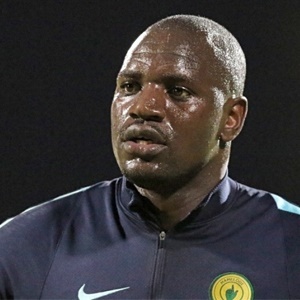 Cape Town - Mamelodi Sundowns goalkeeper Denis Onyango is contention to win the CAF Player of the Year (Based in Africa) award for the second year running. Onyango claimed the accolade in 2016 (beating team-mate Khama Billiat and Zambian Rainford Kalaba) after helping Sundowns win the CAF Champions League, although in 2016 they were eliminated at the quarter-final stage by Wydad Casablanca, who went on to win the competition. Onyango also excelled for the Ugandan national team and is the only player from the PSL to be nominated in the main category - the African Player of the Year award. He'll face stiff competition though from the likes of Victor Moses, Sadio Mane, Pierre-Emerick Aubameyang and Mohamed Salah amongst others. Also nominated for the 2017 Player of the Year (Based in Africa) award is SuperSport United striker Jeremy Brockie. The New Zealand international knocked in an impressive 10 goals, but was not able to score in the two-legged final as Matsatsantsa lost 2-1 on aggregate to TP Mazembe. SuperSport are also on the short-list for the Club of the Year award while Banyana Banyana are in contention for the Women's Team of the Year. Cameroon, Nigeria and Egypt will battle it out for the National Team of the Year award. Junior South African national team marksman Luther Singh was nominated for the CAF Youth Player of the Year.